Ladoo or Laddu is a small, cute, beautifully colored, Indian Sweet ball made of gram flour (besan) and sugar syrup flavored with cardamom. Ladoos are mostly festival snacks in India; Whenever you have a festival, you can see laddus there. Be it Diwali, New Year, Raksha Bandhan, Wedding ceremonies – Ladoos are mandatory 🙂 Ladoos are called as Laddu or Laadu in various parts of India. When I was a school-going kid, My dad would always buy Ladoos from a nearby “North Indian” shop where the Ladoos would be so delicious and rich that normally people would not be able to finish one. My dad set a bet of 50 rupees on eating ONE full Ladoo. I have a sweet-tooth ( and I always will have) and I tried hard and finished it off. My dad was surprised and shocked and he gave me 50 rupees on that day 🙂 That was technically my first earning and Ladoos got me that and snatched a soft corner in my heart 🙂 I would try to get my hands on that type of Ladoos, if possible for you guys. Now, over to laddu recipe for you guys from Home Making Delight..
Sieve besan flour with baking soda in a bowl and make it a paste by adding water little by little. Then add the food color to the batter as per your wish and check for the color. The batter should be in flowing consistency. Add more water, if required. Heat oil in the deep frying pan. In the mean time, prepare the sugar syrup by heating sugar and water in a pan. Allow it to boil until it forms a single string consistency (i.e. if you take a drop between your index finger and thumb, it should form a string). If you are not sure about the batter consistency, dip the backside of a spoon in the batter and hold it over the pre-heated oil. The batter drops should form perfect round balls. Usually, ladoos are prepared using a ladoo-making-laddle. Since, I do not have one I tried it using the vegetable shredder and it came out well. YIPPIE ! Just hold the shredder above the preheated oil and pour the batter over the small holes. The batter will drip down by itself. Just ensure not to overlap the drippings. Turn over the boondi to cook on both sides and take it out of the oil. It should be just cooked and not crispy. Dry it on the paper towel and immediately transfer them to the prepared sugar syrup. Repeat the process with the remaining batter. If your boondis are not in prefect shape, don’t worry. Just give them a quick stir in the mixie or blender and transfer them to the sugar syrup. Add the ingredients mentioned under “For Flavor” in the sugar syrup along with the boondis and mix them together. Allow it to cool and start making ladoos (Make round shaped balls) when it is still warm. 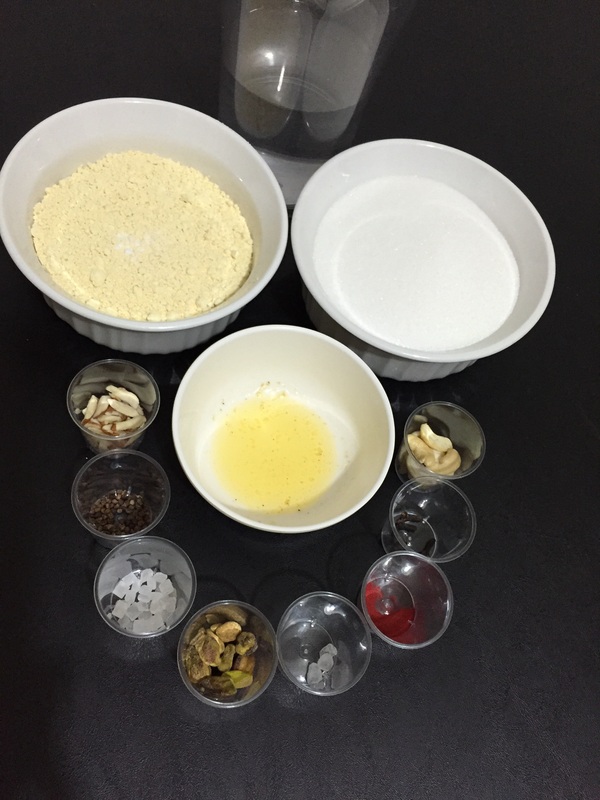 If you are still not able to hold them together, heat it for 2-3 minutes so that the sugar syrup will get more thickened and let you make perfect ladoos. 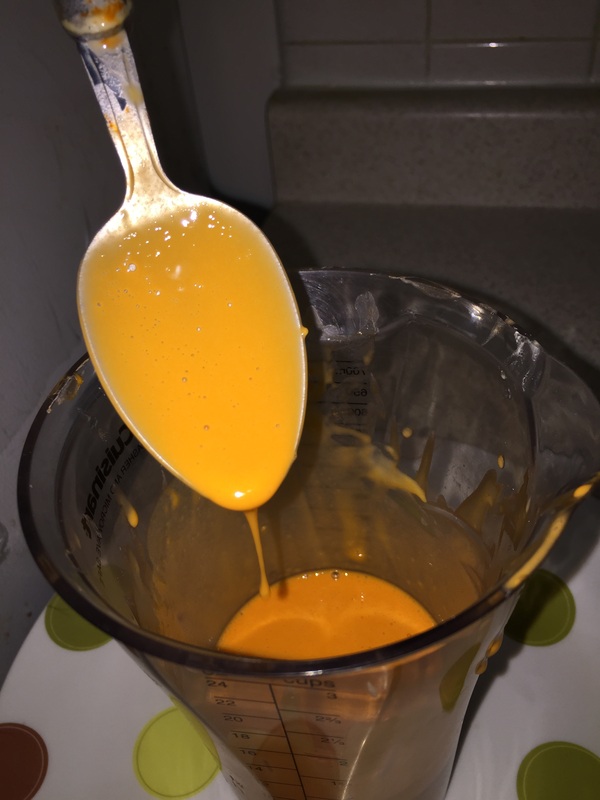 Grease both your hands with ghee. Hold the boondis together in your palm and hold it tight to shape the ladoos. Dip one end of the ladoo in ghee and garnish the top with almonds, pistachios and cashews. If you like our space, please like HomeMakingDelight on FB (See the Right widget for LIKE Button) to get instant updates on our new posts. This entry was posted in Desserts, Sweets and tagged Besan laddus recipes, Besan snacks and sweets, Diwali sweets and snacks, easy Indian festival sweets at home, Gram flour Laddus at home, how to make Ladoos at home, Indian dessert Laddus recipe, Indian sweet Laddu recipe, Ladoo recipe, north indian Ladoo recipe, Raksha bandhan ladoos recipe, South Indian Laadu recipe. Bookmark the permalink.